The Foxboro brand Model IMV30 Multivariable Transmitter is available from Foxboro by Schneider. It is an intelligent two-wire transmitter that provides precise and reliable measurement of pressure, differential pressure, sensor and electronics temperatures, and process temperature (from an external RTD). It transmits a 4 to 20 mA or digital output signal, as applicable, using HART or FoxCom Communication for remote configuration, calibration, and monitoring. 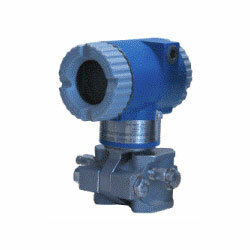 When used with a primary flow element, it also calculates process density and flow rate, and provides transmission of all the measured and calculated values. – Individual measurements on a 2-wire loop. – Assigns 4 to 20 mA to any measurement. Complete configuration using a Model PCMV PC-based configurator; limited configuration with optional LCD indicator, or HART communicator. Calculates mass, volume, or standard volume flow rate based on multiple measurements, using a primary flow element. Convenient module change allows easy migration between communication protocols. Designed for hazardous area installations; versions available to meet Agency flameproof and zone requirements. CE marked; complies with EMC, ATEX, and PED European Directives; and NAMUR NE 21 interference immunity requirement, and NAMUR 105 overrange and underrange annunciations. One transmitter replaces three separate transmitters, saving initial purchase costs.